WE REGRET NO CARAVANS OR TRAILER TENTS. VEHICLES ARE NOT PERMITTED IN THE CAMPSITE AT ANY TIME. SMALL GAS CAMPING STOVES ARE ALLOWED IN THE CAMPSITE ONLY. BARBECUES, DISPOSABLE BARBECUES AND OPEN FIRES ARE NOT PERMITTED AT ANY TIME. YOU ENTER THE CAMPSITE, FESTIVAL SITE AND CAR PARKS AT YOUR OWN RISK. THE ORGANISERS, AND THEIR AGENTS, SHALL NOT BE HELD LIABLE FOR ANY LOSS, DAMAGE OR INJURY OF ANY KIND. ALCOHOL MAY BE BROUGHT INTO THE CAMPSITE BUT NOT THE MAIN ARENA. Due to licensing restrictions, you are not permitted to bring alcohol into the festival arena. There is a wide range of premium alcoholic (and non-alcoholic) drinks available for purchase from our bars. 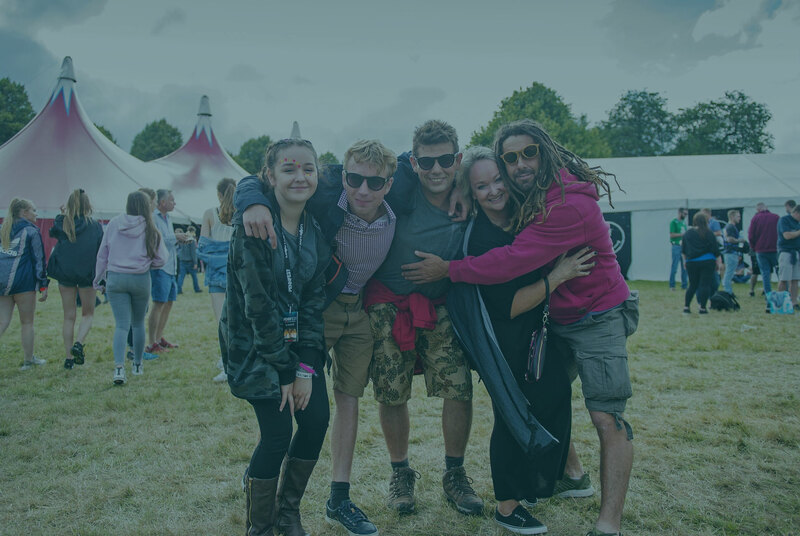 Alcohol brought to the festival must comply with the event regulations which are: Weekend campers aged 18 and over can bring in limited amounts and types of alcohol. You may be asked of proof of age. Quantity per person: 24 cans of beer or 18 cans of cider or 3 litres of wine or 24 bottles (must be plastic) alco pops. No spirits allowed. All drinks must be unopened and NO GLASS! Alcohol will only be permitted on first entry to the festival campsite. You will not be able to exit & re-enter with alcohol by use of your wristband. Excessive amounts of food and cigarettes may be refused entry to the site. Only bring enough for personal consumption. CAMPLITUDE RETURNS TO PENNFEST – ON SALE NOW! Leave your camping gear at home and book your ready pitched tent. Choose from our fantastic 2, 4 or 6 person tents. Plus optional extras such as sleeping bags and double air mattresses. Perfect for your family, or for you and your friends. You will also receive your own personal Camplitude goodie bags full of helpful festival gear, including ear plugs, rain poncho’s and much more. All to better your festival experience. Our goal, is for you to have the best possible weekend without the hard work of camping. All you have to do is book, move into the tent, and start you festival weekend. NEW FOR 2019 – CLASSIC & LUXURY BELLTENTS. Please ensure you have a weekend camping festival ticket before booking.